• Lower gross profit margin: down 339bps q/q; 766bps y/y. • Higher opex/sales ratio: up 558bps q/q; 269bps y/y. • A loss before tax of N414million in Q3 2019 against a profit before tax of N1.56billion in Q2 2019 and a profit before tax of N1.10billion in Q3 2018. Similar to the last four trading quarters, PZ’s published Q3 2019 scorecard showed a contraction in its topline performance, reflecting its continued challenges in the nation’s operating environment. Consequently, the firm reported a loss before tax of N414million, following the drop in gross profit, higher operating expenses and a rise in net finance cost, which outweighed the impact of a net foreign exchange gain recorded in Q3 2019 against a net foreign exchange loss in Q3 2018. In the same vein, on a sequential basis, the highlighted factors above combined with a decline in foreign exchange gain as well as a net finance cost in Q3 2019 against a net finance income in Q2 2019 contributed to the loss before tax of N414million in Q3 2019 against a profit before tax of N1.56billion in Q2 2019. PZ’s topline performance continued to record negative growth owing to intense competition and fragile consumer spending. We suspect the slower growth in the branded good segment as witnessed in recent time (up 6.8% y/y in FY18 vs 19.2% y/y in FY17) coupled with contraction in the white good segment (down 0.5% y/y and 5.9% in FY17 and FY18 respectively) may have continued, thus, responsible for the uninspiring performance in topline in Q3 2019.This, combined with the 766bps y/y decline in gross profit margin to 19.03% due to input cost pressures, led to the significant fall in gross profit by 35.5% y/y to N3.81billion in Q3 2019. On a q/q basis, despite the modest uptick in topline by 4.5%, gross profit was down 11.3% q/q largely driven by the 339bps q/q contraction in gross profit margin; a reflection of cost pressures. Operating expenses rose in Q3 2019 by 42.27% q/q and 3.68% y/y to N4.21billion. On a y/y basis, the increase in operating expenses was solely due to the 23.60% y/y rise in selling and distribution expenses, which offset the 23.31% y/y decline in administrative cost. The rise in selling and distribution expenses may have been driven by the need to grow volume amidst competition as the parent company in its half year presentation highlighted that it would review its product portfolio. As a result, the higher operating expenses coupled with the massive decline in gross profit witnessed in the quarter led to an operating loss of N399million in Q3 2019; the first ever in recent time. Net finance cost rose by 20.3% y/y in Q3 2019 despite the 78.9% y/y reduction in interest expense to N113million. The increase in net finance cost was due to the 92.7% y/y drop in interest income to N34million, which may have been driven by the 69.5% contraction in cash and cash equivalent. Again, similar to last quarter, PZ recorded a foreign exchange gain of N33million in its Q3 2019 financial performance against a loss of N705million in Q3 2018. This may have been supported by the relative stability in the FX market largely on the back of CBN’s sustained intervention in that space. 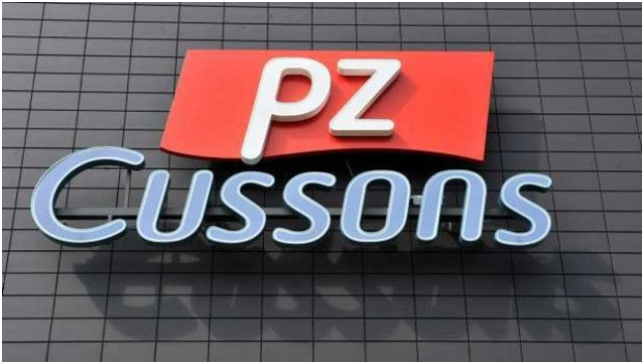 Similar to last quarter, PZ’s cash flow from operation in Q3 2019 printed in the negative. Although operating cash flow before working capital adjustment came in positive, lower by 29.3% y/y to close at N3.06billion, the negative cash balance from operations after working capital adjustment was driven by the increase in inventories, higher trade receivables and a decline in trade, other payables and provisions. The increase in inventory may be a reflection of lower sales volume recorded in the quarter while the rise in trade receivables may have driven by the desire to improve sales. Going forward, we expect the potential increase in minimum wage and the mild recovery in the broader economy to be supportive of consumer spending. This may bode well for the company’s topline performance in the medium to long term. Given the competitiveness in the consumer goods space, we do not expect to see significant price increases especially amidst fragile consumer purchasing power. Although, the parent company highlighted the need to review product portfolio to improve company performance, we believe there may still be some pressure on gross profit margin. However, we expect a restructuring of the operating model aimed at reducing overheads and stability in FX to bode well for PBT performance. Our pricing models are currently under review. Are the days of Bashir counted in the Sudan?